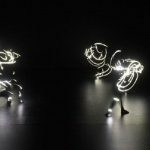 Juggler Sean Gandini and choreographer Alexander Whitley join force to explore the relationship between contemporary dance, circus and music. 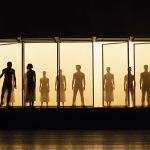 The show is called Spring and it is presented as part of the 2019 London International Mime Festival. It lasts one hour, no interval, just the right length. The last time I saw Gandini Juggling was in 2015 at the London Coliseum in Phillip Glass’s Akhnaten. 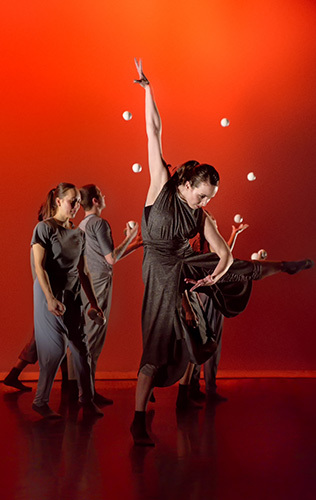 The juggling was a notable feature of Phelim McDermott’s production for English National Opera. 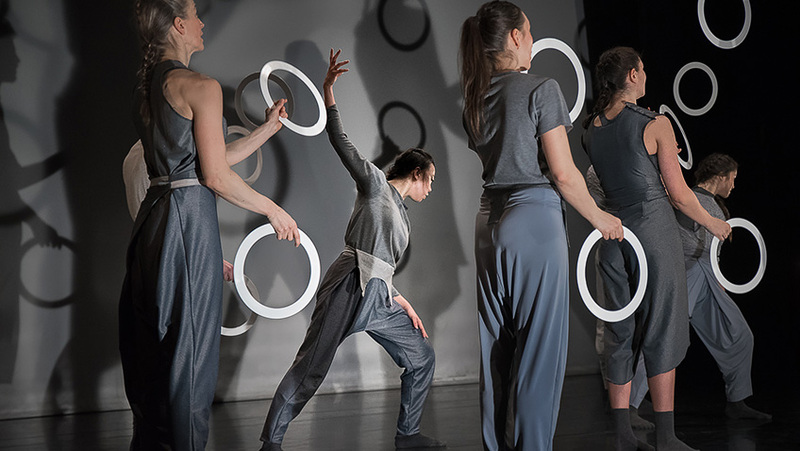 Gandini has been experimenting with juggling and finding what it is and what it can be for a very long time now. I was fortunate to be given a massive, hefty, illustrated tome, Juggling Trajectories (written by Thomas J. M. Williamson) which celebrates his career from 1991-2015. It quickly made me realise just how much I had been missing. I certainly hope to be able to catch up with Clowns and Queens, No Exit and Smashed. Spring is a dialogue between juggling and dancing, rhythm and colour. Jugglers and dancers share the stage at the same time. There are lots and lots of balls in the air. Gabriel Prokofiev provides a futuristic sound score. There are 5 musicians at the back of the stage. There’s a cast of 12. The jugglers upstage the dancers every time. Whitley’s choreography is not that interesting. The company juggles with balls, hoops and clubs. The synchronisation is amazing. They count the beat. The colour of the hoops changes from blue to red to yellow to green and back again. There are lots and lots of hoops in the air. The patterns are pleasing. The more crowded the stage the better it looks. The company looks great in silhouette. Only the attempts at humour fall flat. The outstanding juggler is Wes Peden, who grew up in a circus family and at 17 studied at the professional circus school in Lille. He tosses clubs in the air and catches them not only with his hands but also on his shoulders and one of them (would you believe it) even between his knees! Wow.